Born with the smell of nitro in his nose (metaphorically speaking you understand), it surely came as no surprise that Albert Carter has followed in his father’s footsteps, albeit so far he has chosen a different path to follow than that of his famous dad Andy Carter, 4 Time FIA European Top Fuel Drag Racing Champion. It seems that early starting is in the blood of the Carter clan. Andy’s flame was kindled at the age of 11 when he started crewing for a successful Banger Racer. 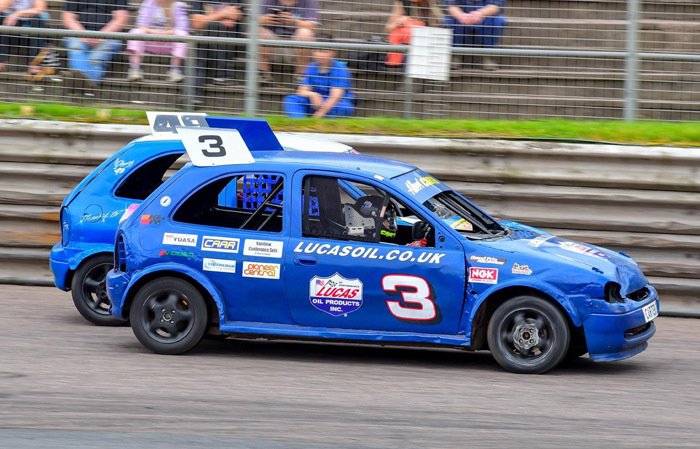 His own break came at the age of 16 when he got behind the wheel of a Hot Rod and competed in the Spedeworth National Championship. His head was then turned by the world of drag racing and in 1982 he turned to straights rather than racing ovals. 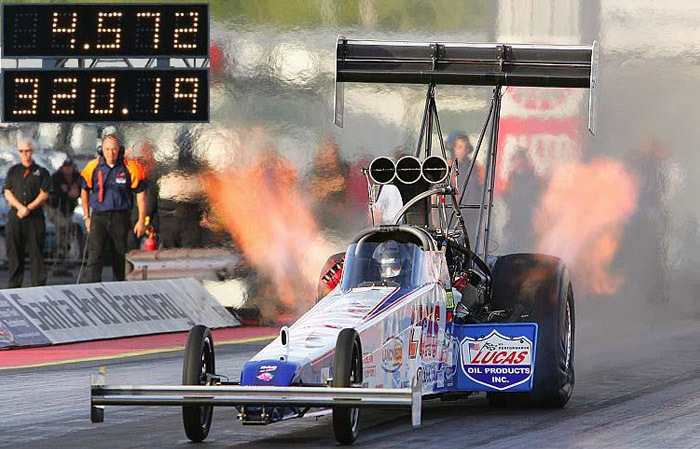 It was some years though before Andy found himself in the top class of the sport, a Top Fuel dragster. His steady progression and driving ambition led him to leave the UK in 1997 and head across the pond to the home of drag racing. That however, despite some success, did not bear the fruit he was hoping for so in 2000 he returned chastened but by no means beaten and as if to prove the point in 2001 he took his first FIA European Top Fuel Drag Racing title. The man was back! In the following ten years Andy captured another three European titles, setting numerous records along the way, not the least of which was running the quarter mile at a deeply impressive 4.57 seconds at 320MPH. With so much achieved he took a final bow in 2011 and hung up his helmet with the knowledge that he had become the highest FIA Top Fuel points scorer in history. While Andy was busy taking titles and setting records, another significant event took place, that being the birth of his son Albert in 2003. Like so many before him, Arthur’s first foray into motor racing wasn’t at the drag strip but in karts. 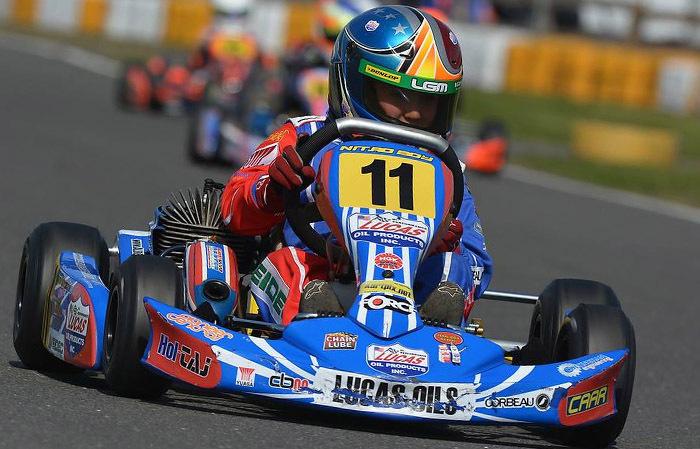 In the six years of competing at the highest level he garnered a lot of attention which culminated with him winning the TVKC IAME Championship. But then his racing took a turn which, in one sense, was the reverse of his Dad. 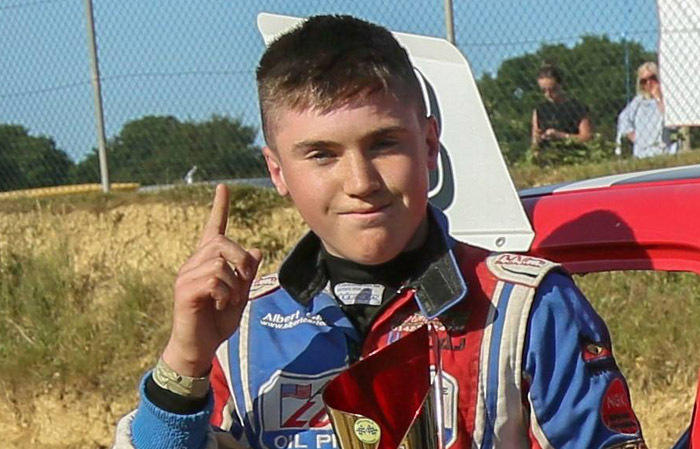 He left karts and took to the ovals and started racing in the Mini Stox championship and Junior Rods. 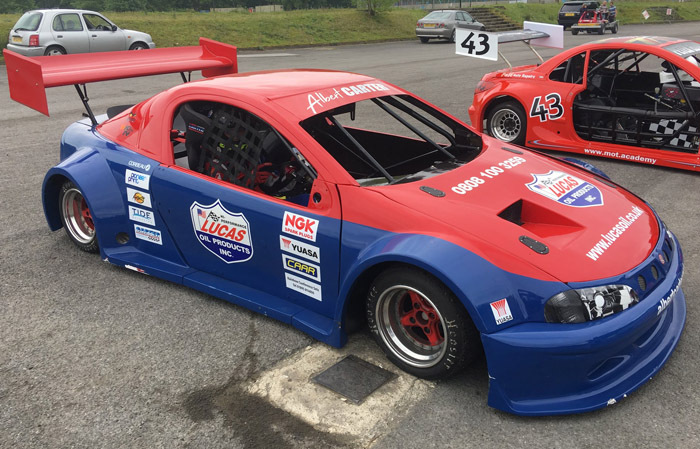 This year Albert has been even busier as he is competing in two championships, the RTS Championship and the Smallfield Junior Production Championship in which he is the defending Junior Production Champion, and practising in National Hot Rods. Like his father, Albert is sparked by NGK and at only 15 is matching his Dad’s track record wheel for wheel. Where it will take young Albert we’ll have to wait and see, but with winning very much in his DNA, it seems likely he’ll be becoming ever more familiar with the top step of the podium.